Stoletá dáma (100 years old lady) is a name our republic was given this year. We celebrate 100 years from the creation of Czechoslovakia - and I use word "creation" because the Czechoslovak republic was more created than founded. 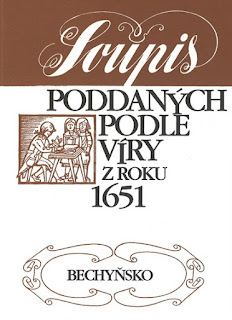 One of the oldest sources which covers most of Bohemia is the Serfs register according to their faith (soupis poddaných podle víry) which was created in 1651. It covers just Bohemia, not Moravia or Silesia. 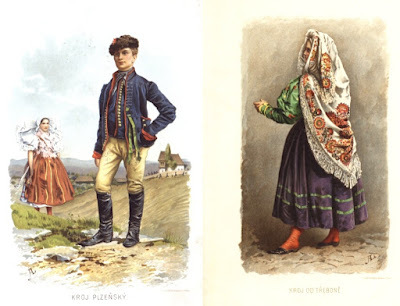 If your ancestors were from Bohemia, it is a wonderful source of information. Michaela wrote a huge post about the structure of the parish records, but there are some specifics worth mentioning in case of records prior to year 1784. Why this year? Because it was the year when parish books happened to become part of the official state administration even they were still administered by the church. A decree by the Emperor Joseph II. stated new structure of the records in 1784 so after this year all the records should contain the same information. Well, should - it took several years before this was fully in place. One example of a record prior to 1784. The regional archive in Zámrsk has probably the most confusing system to access digitized materials of all Czech archives. Area: In this archive are stored materials for North-East Bohemia and North-West Moravia. More precisely we are talking about areas of today Hradec Králové region (districts: Hradec Králové, Jičín, Náchod, Rychnov nad Kněžnou, Trutnov) and Pardubice region (districts: Chrudim, Pardubice, Svitavy, Ústí nad Orlicí), but as usual, there could be also areas from around borders of both regions (so from SOA Praha, SOA Třeboň, ZA Opava, MZA Brno) and vice versa. I was asked several times what everyday life in the 18th century was like. 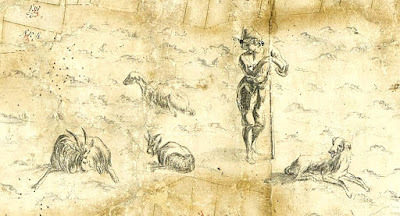 So, here is a very brief post about the farmer's life in 18th and 19th century. It was in fact very similar to current life in rural areas, every day almost the same as another. The only difference was made by changing the seasons - life during the winter was much slower than in the spring and summer. 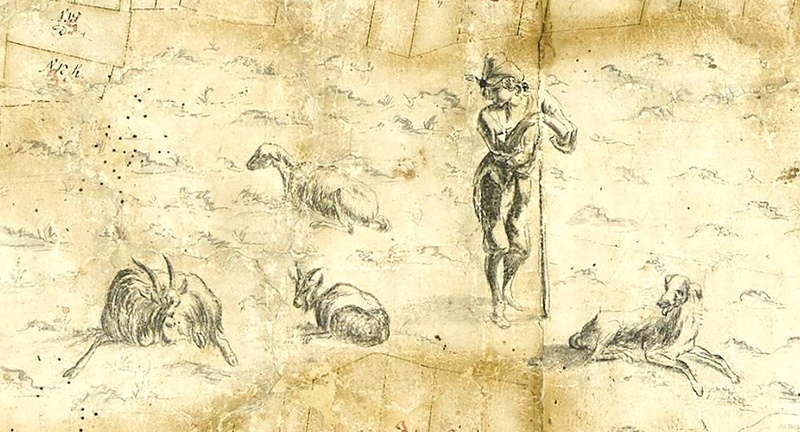 Shepherd, 1st half of the 18th century. The day usually began at about 6 AM (or earlier during the summer, as soon as the sun was up) - animals prior to people, so first of all feeding of the animals, milking cows, letting chickens, geese and ducks out of the poultry-house, checking if all the animals are ok.
Josef Lada is tightly connected to the Czech Easter traditions as he painted some of the most favorite Easter postcards we have here in the Czech Republic. Here are some of this paintings - they often show us a caroller (or more carollers) with pomlázka (a braided whip made from pussywillow twigs), a women giving him an egg or girl(s) running away. 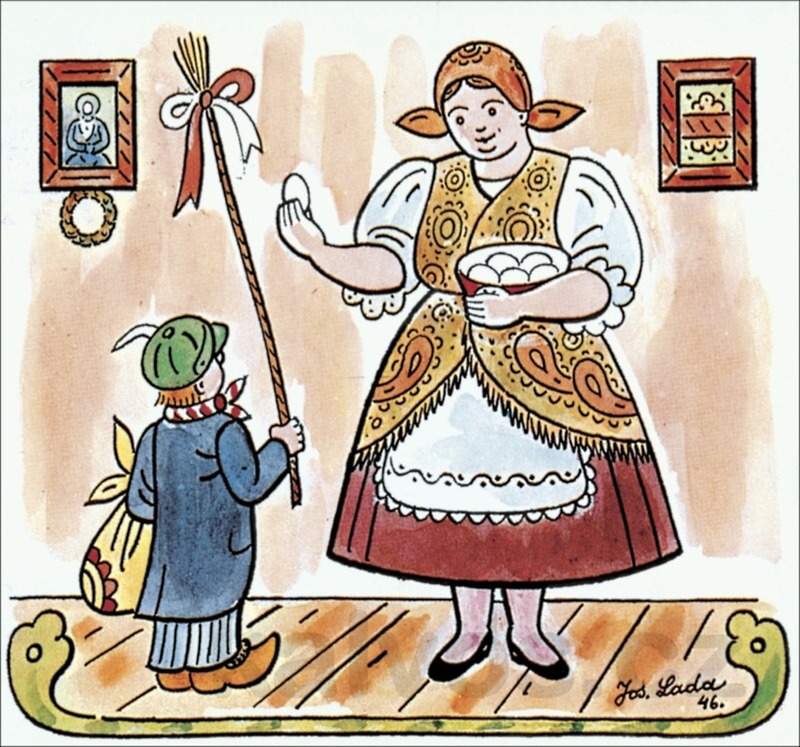 I wrote a blog post about Easter Monday traditions three years ago, here it is: Easter Monday. I was asked about typical kroj for Eastern Bohemia and while I needed to do some research, I found another load of pretty old pictures of kroje. 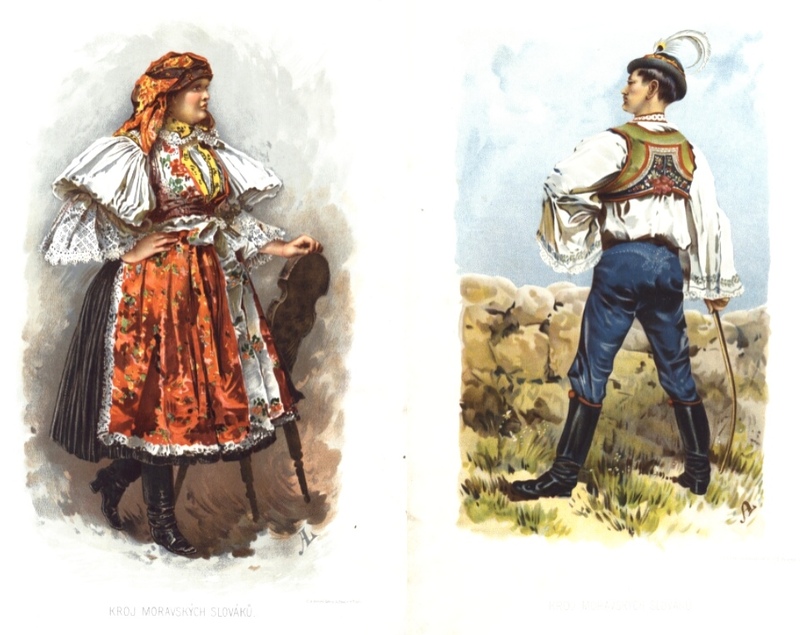 It from book called Národní kroje slovanské (Slavic national costumes) written by Adolf Liebscher in 1895/1896. It shows not only Czech, Moravian and Silesian costumes, but also costume of Moravian Croatians, Polish, Ukrainian, Bulgarian and other costumes. 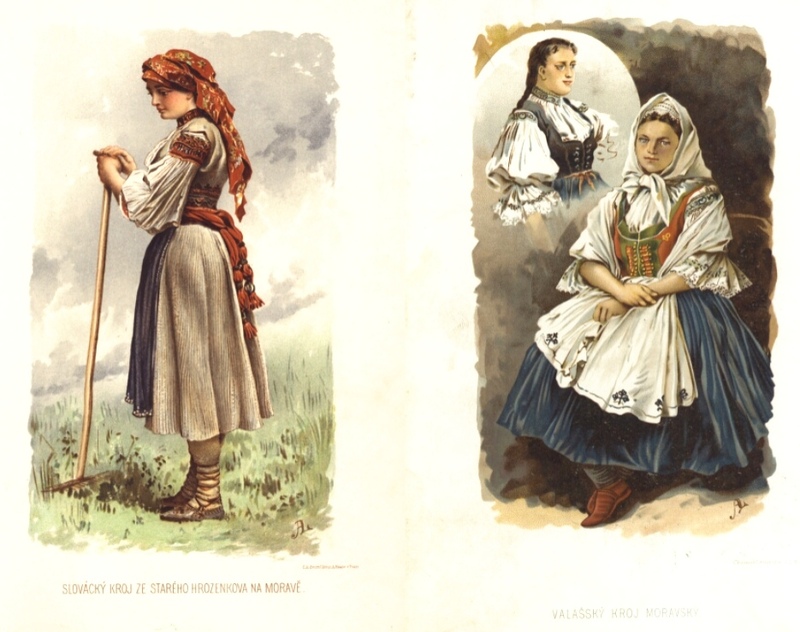 But those from Bohemia, Moravia and Silesia are in majority. 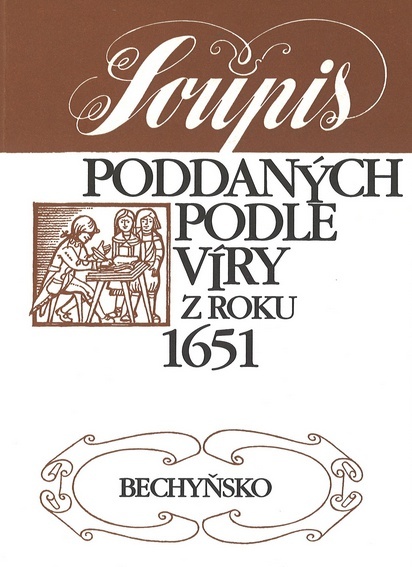 The book is available online in the digital archives of Czech National Library. Nový Hrozenkov belongs among those towns which are located in a mountain valley in eastern part of Moravia. It was very poor region where most of people worked in agriculture. Nový Hrozenkov was quite large town, it had about 3000 people in 1900, but still - there were not enough work opportunities for quickly growing population. 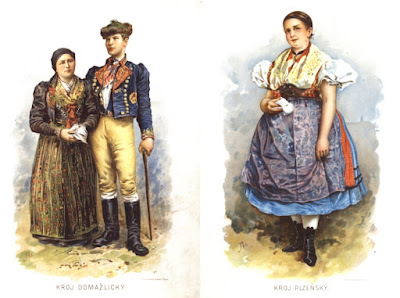 I searched for Cheb (Eger) area traditional costumes (kroj) because of Amy's question in comments under the blog post showing some pictures of these costumes from different regions of Bohemia. I have found quite interesting book published in 1845 and then again in 1877 about Cheb and its surroundings called Eger und das Egerland by Vinzenz Pröckl. There are some pictures of traditional costumes from this area. Egerland (Chebsko) is located in western part of Bohemia. 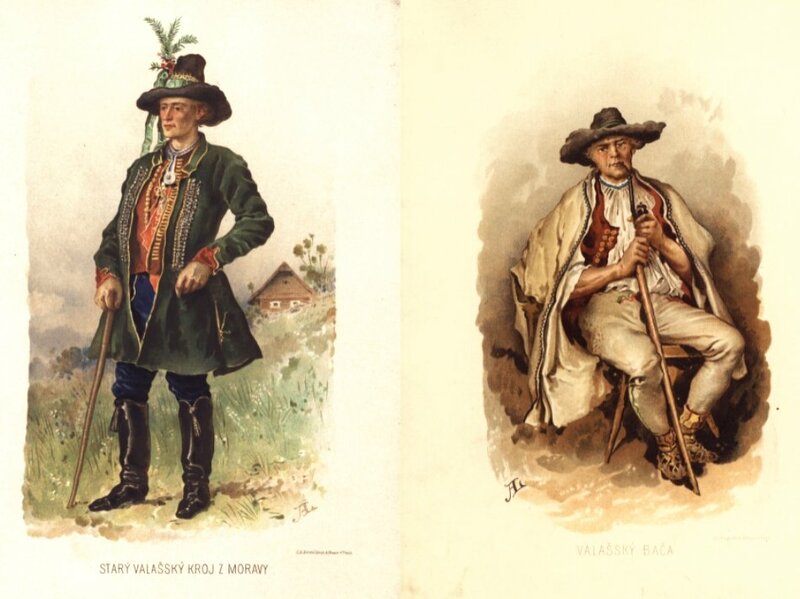 It was fully German area and it became part of Czech lands during the reign of Charles IV. in 1348. The map above shows current Czech borders (in red). Light grey is original Egerland which was administered from the town Cheb and belonged to the Holy Roman Empire. Dark grey is that part of Egerland which was gived to Czech kings as a pledge in 1322. 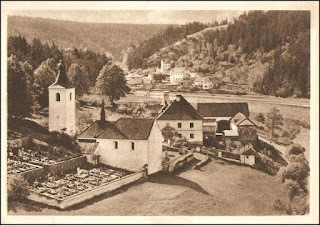 When one lady asked me to translate few records from Červená parish in Písek district in Southern Bohemia, I haven't expected I'll find number of notes about people who left for the U.S. from this parish. Here is a list of these people - and it's quite a list! Červená parish church of St. Bartholomeus. 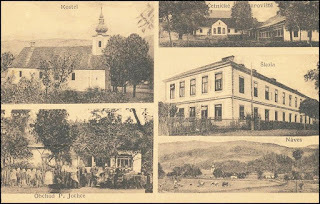 Source: Fotohistorie.cz.